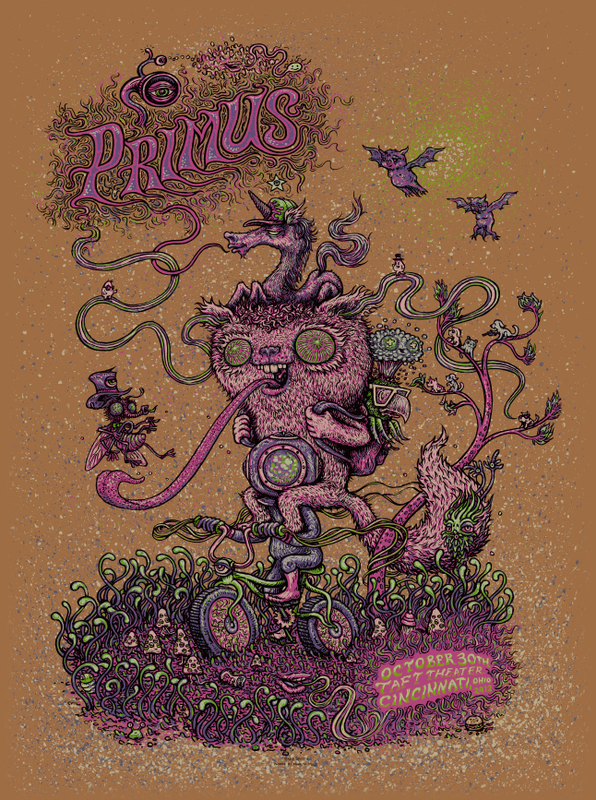 I got to hang this up next to your Primus print from there tour before last. hope I can get my hands on one this year!!! looks like adventure time w/ tweak! We will release a small amount from the main edition of 200 in the Shop. Stay tuned for that…. Can’t wait, really nice work Marq!! Can’t wait for this to be released in the shop! Hope it is available sooner than later. I was at this show but did not notice the merch booth anywhere after the show with the huge crowd of people trying to leave the venue. 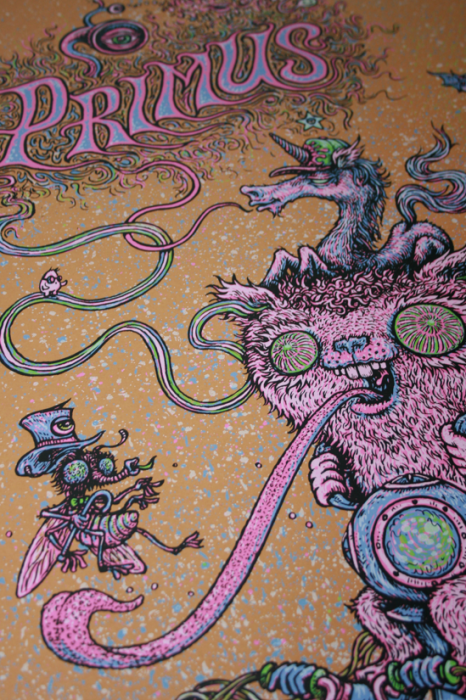 Disappointed I didnt find it because this tour poster is badass!!! Well done Marq! Hope I can get my hands on one! Poster sold out before show started. I did not realize theirs were signed. I want a signed one and am hoping to get lucky here. Nice Work Marq! Hope this one ends up being on black paper. What’s up with Les Claypool’s Nephew ? Thanks for the link, that is sad to hear. Very nice that Les is doing what he can to help..